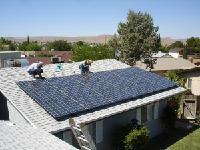 We Make Solar Easy Today! -- Shop Here! Ask about our Affilate Program. 3KW is just 300 Sq. 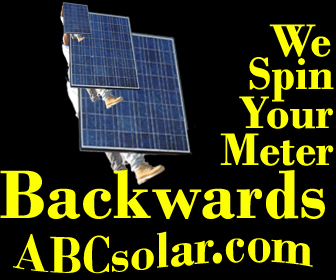 Ft. - Learn More 30% Federal Tax Credits, Accellerated Depreciation and CASH Rebates makes going solar profitable for any business. Up to 15% annual rate of return! 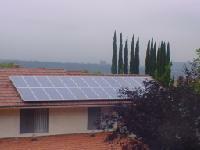 6KW DC Grid-Tie Solar Electric system & 1KW Solar Pool Pump. Solar Pool Heating system. 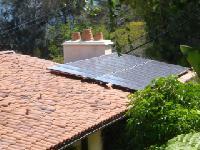 Water is circulated to solar thermal panels via solar pool pump. 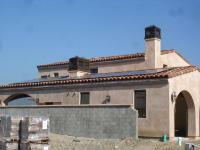 THIS HOME HAS A ZERO ENERGY BILL! 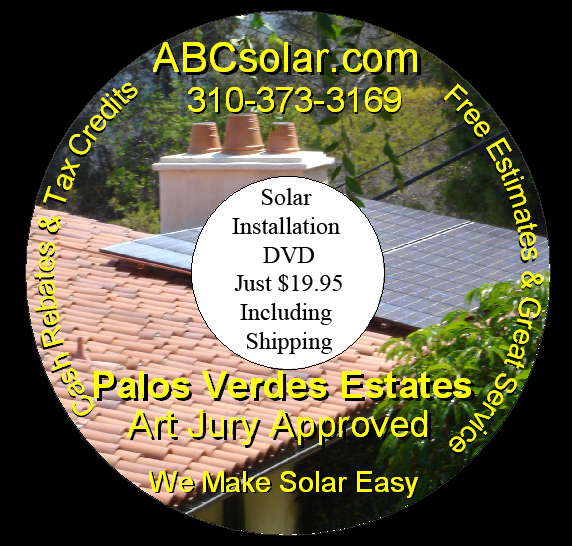 This DVD features 10 solar photovoltaic installations on 6 different roof types. 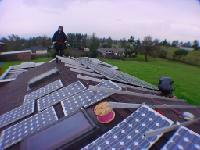 How the solar mounting systems are attached to the various roof types. This includes hitting the rafters and waterproofing the attachment. 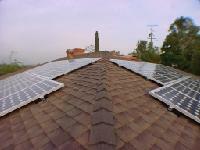 How the solar panels are connect to each other to create a "string"
Call today for professional and personal service. 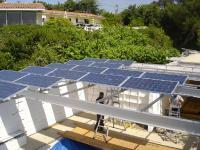 Adding solar panels to your boat, sailboat or yacht may be the most important decision you make. 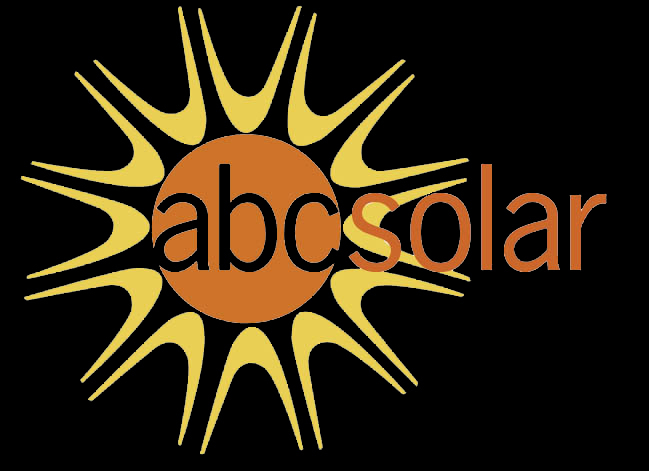 ABC Solar is your Marine Solar expert. Call 1-310-373-3169 if you have any questions. 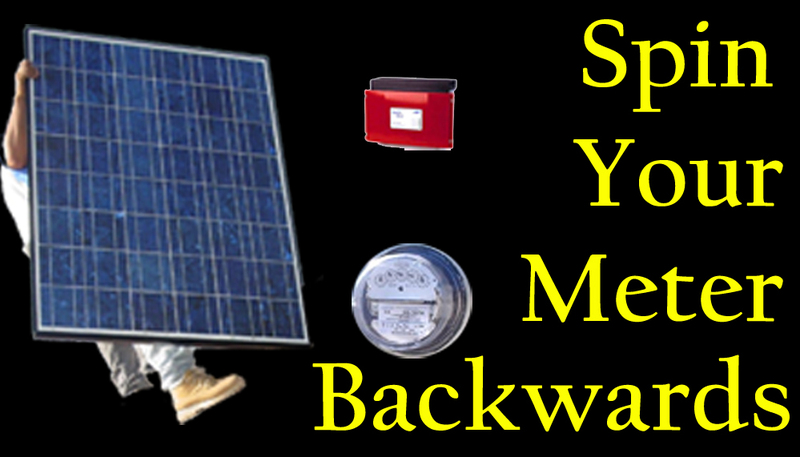 You two choices for solar panels for your boat. Uni-Solar 68 Watt PV Roofing Laminate w/MC, 9.5 ft.
Uni-Solar 34 Watt Foldable Flexible Solar Panels, Camouflage or Blue. This is military grade solar. Charge controllers connect your solar panel to your boat battery bank and regulates the charging process. The primary purpose of a charge controller to not overcharge your battery. A solar panel and charge controller combination will increase the life of your battery by using charging algorithms. Meters are important to help boaters keep track of their energy usage. Without batteries life might be much simpler, but that engine won't start. Sit.com - Where Hollywood Sitcoms come to play. 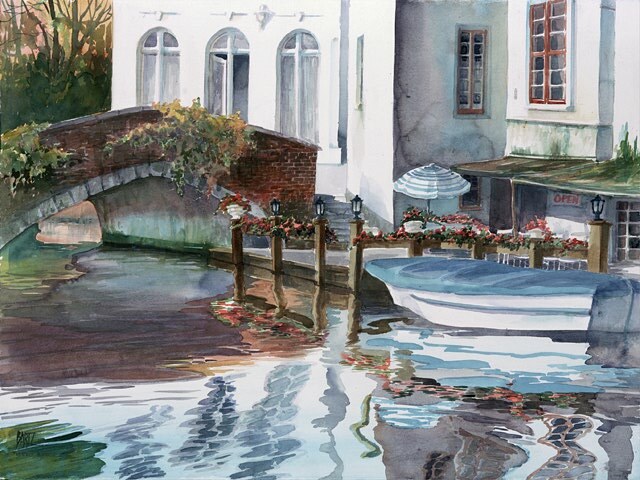 Reflections are my inspiration for solar.